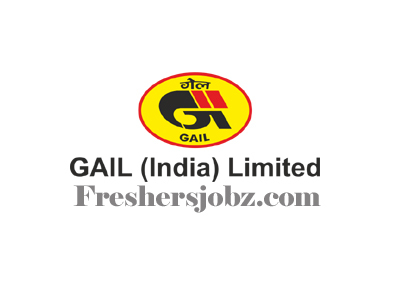 GAIL Recruitment Notification 2018.GAIL has released a notification for the recruitment of Senior Engineer, Officer and more Vacancies.Check the eligiblity and notification prior to apply for the positions. b. . Experience: Minimum 01 (One) year post qualification executive in line experience (including experience as GET/ ET/ MT) in O&M of boiler after obtaining proficiency certificate in BOE in State/ Central Government Department(s)/ Institution(s)/ Undertaking(s) and/ or Large Private Sector Organization(s)/ Institution(s)/ Company(ies) of repute, as an employee of that Organization. Preference will be given to candidates having in line executive experience in Oil & Gas/ Petrochemical Industry. b. Desirable: Minimum 01 (One) year post qualification executive in line experience of Project Commissioning/ Maintenance (including experience as GET/ ET/ MT) in Petrochemical Plant/ Refinery/ Fertilizer Plant only of State/Central Government Undertaking(s) and/or Large Private Sector Organization(s) of repute, as an employee of that Plant/ Undertaking/ Organization. a. Qualification: Bachelor Degree in Engineering in Mechanical/ Production/ Production & Industrial/ Manufacturing/ Mechanical & Automobile with minimum 60% marks. 5. Placement: The selected candidates may be posted at any of the installations/ projects/ offices, etc. 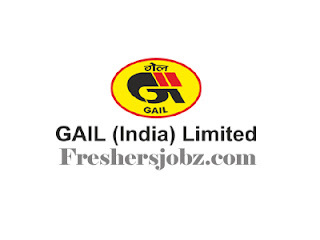 of GAIL (India) Limited or any of the subsidiaries/ Joint Ventures of GAIL (India) Limited or deputed to any Department of Govt. of India/ other PSUs, etc. The selected candidates may be assigned jobs/ functions/ assignments as per the business requirements of the Company including shift operations. a .Qualification: Master Degree (M.Sc.) in Chemistry with minimum 60% marks. b. Desirable: Minimum 03 (Three) years post qualification executive in line experience in quality control laboratory of large organization of repute in the Hydrocarbon industry (Oil Refineries, Gas processing plants, Petrochemical plants) / Fertilizer/ Steel/ Chemical or other relevant process industries, as an employee of that Organization. Preference will be given to the candidates having in line executive experience in Oil & Gas/ Petrochemical industry. Candidates working in Government/ Public Sector Undertaking must have minimum one year experience in the next lower pay scale or next lower equivalent pay scale. a .Qualification: Master Degree in Hindi Literature with minimum 60% marks. Should have English as one of the subjects in Graduation. Desirable: Degree or Diploma in translation in Hindi to English and viceversa from any recognized University or equivalent. b. Desirable: Minimum 02 (Two) years post qualification executive in line experience [including experience as Trainee Officer (Official language)]. The candidate should have experience in translation work from English to Hindi and vice-versa of various reports, documents, letters, etc. preferably in State/ Central Government/ Public Sector Undertakings/ Banks/ Financial Institutions and/ or Large Private Sector Organization(s)/ Institution(s)/ Company(ies) of repute, as an employee of that Organization. The candidate should have thorough knowledge of Official Language Act, 1963 and Official Language Rules, 1976 for implementation of Government Official Language policies. a .Qualification: Bachelor degree of minimum 3 years with minimum 60% marks. Preference will be given to the candidates with Diploma in Industrial Security. b. Desirable: Minimum 03 (Three) years post qualification experience as Inspector in Central Armed Police Force Organizations (Assam Rifles, CISF, CRPF, BSF, ITBP, National Security Guard, Sashastra Seema Bal) preferably having experience in Security installations and firefighting / first aid. 4. Placement: The selected candidates may be posted at any of the installations/ projects/ offices, etc. of GAIL (India) Limited or any of the subsidiaries/ Joint Ventures of GAIL (India) Limited or deputed to any Department of Govt. of India/ other PSUs, etc. The selected candidates may be assigned jobs/ functions/ assignments as per the business requirements of the Company including shift operations. a ,.Qualification: Graduate Degree in any discipline with minimum 55% marks and Bachelor Degree in Law (LLB) (minimum 03 years professional course) with minimum 55% marks. OR 05 years Integrated LLB Degree (Professional) with minimum 55% marks. Preference will be given to candidates having Master Degree in Law (LLM). b. Desirable: Minimum 04 (Four) years post qualification in line experience as a Law Executive in State/ Central Government Department(s)/ Institution(s)/ Undertaking(s) and/ or Large Private Sector Organization(s)/ Institution(s)/ Company(ies) of repute or as an Advocate in Reputed Law Firm(s), as an employee of that Organization/ Firm. Candidates having experience as an Advocate in Reputed Law Firm(s) must have enrolled themselves with the concerned Bar Council as an advocate. Candidates must have hands on experience in handling litigation before different Judicial/ Quasi-Judicial Forums, Arbitration and Conciliation matters, Drafting & vetting various legal documents, handling legal matters pertaining to Mergers, Acquisitions & Joint Ventures, Regulatory matters of Hydrocarbon sector, Industrial/ labour law matters, etc. Preference will be given to candidates having in line executive experience in Oil & Gas/ Petrochemical Industry. Candidates working in Government/ Public Sector Undertaking must have minimum one year experience in the next lower pay scale or next lower equivalent pay scale. a. Qualification: MBBS degree with Post Graduate Degree (MD) in Medicine. b. Experience: Minimum 02 (Two) years post qualification experience in line (excluding internship) as Medical Officer/ Specialist Physician in Public Sector Enterprise/ Large Private Sector Enterprise/ Large Hospital of repute, as an employee of that Organization. Candidates working in Government/ Public Sector must have minimum one year experience in the next lower pay scale or next lower equivalent pay scale. 1 .Minimum essential educational qualification(s) required shall be as indicated in Table-III against each post.Only full time Regular courses will be considered (except CA/ ICWA qualification)All minimum essential qualification(s) must be from UGC recognized Indian University/ UGC recognized Indian Deemed University or AICTE approved courses from Autonomous Indian Institutions/ concerned statutory council (wherever applicable). Diploma in Engineering qualifications (if applicable) should be recognized by respective State Board of Technical Education. 2 .Engineering Degree can be B.E./ B. Tech./ B. Sc. Engg.Minimum Essential Post Qualification Experience/ Post BOE certificate experience [for the post of Senior Engineer (Boiler Operations) only] in line in State/ Central Government Department(s)/ Institution(s)/ Undertaking(s) and/or Large Private Sector Organization(s)/ Institution(s)/ Company(ies) / CA/ Cost Accounting firm(s)/ Law Firm / Large Hospital of repute should be as on 21.11.2018. However, Industrial/ Vocational/ Apprentice Training will not be considered as experience. 3. Candidates having valid Certificate of Proficiency as a Boiler Operation Engineer issued by Director Boilers/ prescribed authority of respective State Government under the provisions of Indian Boilers Act, 1923 may apply for the position of Senior Engineer (Boiler Operations) on the condition that in case they are selected, their Boiler Operation Engineer certificate should necessarily be got endorsed for validity by the Director Boilers/ Prescribed Authority of the concerned state after their joining GAIL. 1 .Candidates fulfilling all the eligibility criteria (based on the application as submitted in the online application), will be considered for further Selection Process. Depending on the number of candidates fulfilling all criteria, candidates will undergo single stage/ multiple stage selection process. In the event of number of applications being large, GAIL will adopt shortlisting criteria to restrict the number of candidates to be called for further selection process to a reasonable number by suitably raising the minimum eligibility standards. 2 .Screening and selection will be based on the details provided by the candidates, hence it is necessary that only accurate, full and correct information is furnished by the applicants. Furnishing of wrong/ false information will be a disqualification and GAIL will not be responsible for any consequence of furnishing such wrong/ false information.Since all the applications will be screened on the basis of data submitted by the candidate in the online application form, the candidates must satisfy themselves of the suitability for the position to which they are applying. If at any stage during the recruitment and selection process, it is found that the candidates have furnished false or wrong information, their candidature will be rejected.